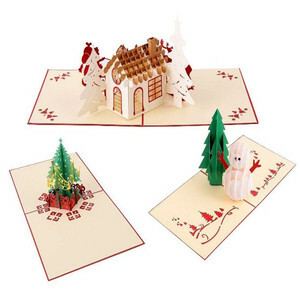 3 PACKS OF CHRISTMAS GREETING CARDS: 1 Christmas tree card, 1 snowman card, 1 Christmas sled card. 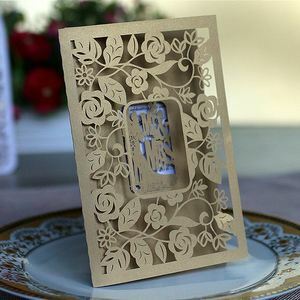 BEAUTIFUL DESIGN: Very decorative, beautiful way to send warm wishes to loved ones. ENVELOPES INCLUDED: Send greeting cards to your friends and family in the mail! Is a collection research and development, design, production, manufacture, printing, sales in the integration of large private enterprises. ) according to different requirements (drawings or samples) processing, custom, and can be in products with various patterns of imprints, bronzing, hot silver, screen printing, etc. Our factory adhere to the principle of "customer first, honesty is golden" for the general customers to provide quality services. Emboss To put a raised design or piece of writing on paper, leather, etc. Matt Lamination Making products extremely durable and waterproof but not shiny. 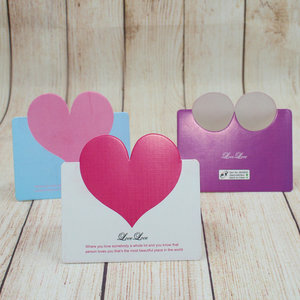 Color Edge Making the thick paper present the same theme color with the printing on the cards. 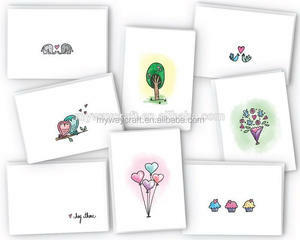 Alibaba.com offers 604 image arts greeting card products. About 63% of these are paper crafts, 21% are artificial crafts, and 7% are card printing. A wide variety of image arts greeting card options are available to you, such as folded paper, decoration, and card. You can also choose from wedding decoration & gift, art & collectible, and business gift. As well as from letters, animal, and flower. And whether image arts greeting card is artificial, folk art, or antique imitation. 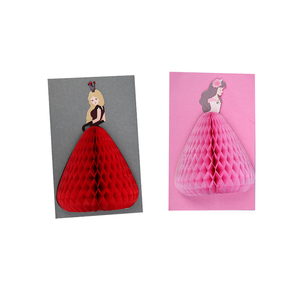 There are 522 image arts greeting card suppliers, mainly located in Asia. 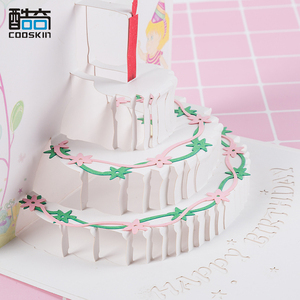 The top supplying countries are China (Mainland), Vietnam, and Japan, which supply 86%, 13%, and 1% of image arts greeting card respectively. 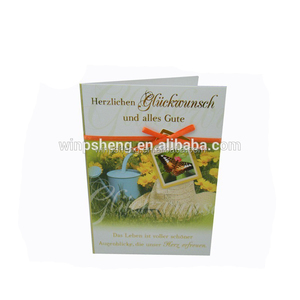 Image arts greeting card products are most popular in North America, South America, and Western Europe. You can ensure product safety by selecting from certified suppliers, including 176 with ISO9001, 71 with FSC, and 39 with GSV certification.